Russia natural gas giant Gazprom has started a joint venture with Nigeria for gas production there. The company name is..... Nigaz! LONDON - The perils of international branding have once again been highlighted with the news of Russian gas giant Gazprom's new joint venture with Nigerian firm NNPC -- to be called Nigaz. While the origin of the name is easily explained -- a conjunction of the words "Nigeria" and "gaz" -- English-speakers seeing the word written down find the brand name has rather different connotations. 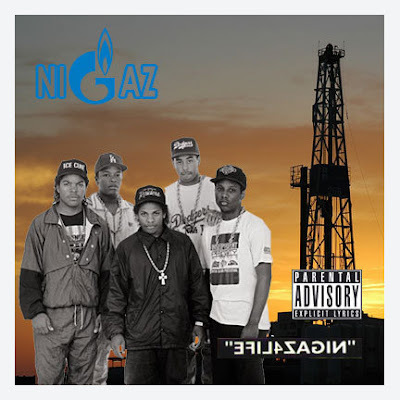 Incredulous Twitterers quickly spread the story around, dubbing it a branding fail and prompting a number to suggest Nigaz should adopt a strapline along the lines of "gas with attitude". It is not the first time that an attempt at creating an international brand name has failed. Mitsubishi was forced to change the name of its SUV model the Pajero in Spain, where the term means 'wanker'. Starbucks opted to stick with the term 'latte' when it launched in Germany, to the amusement of locals. While the word means 'milk' in Italian, in German it is a slang term for 'erection'. A simple translation error meant that a Parker Pen ad run in Mexico ended up promising consumers that it would not "leak in your pocket and make you pregnant", which is at least a more honest promise than Pepsi's "come alive with the Pepsi generation" slogan, which famously ended up as "Pepsi will bring your ancestors back from the dead" in Taiwan. Chinese translations are fraught with difficulties -- Kentucky Fried Chicken's "finger lickin' good" managed to come out as "eat your fingers off". While closer to home, Orange's "the future's bright, the future's Orange" did not go down well with Catholics in Northern Ireland, for whom the term "orange" is most closely associated with Protestantism. Some of the comments are hilarious: How do you think they greet each other in the board room: "Yo what's up Nigaz..."
Oh I get it... it took me awhile. I like the "gas with attitude" one!! !